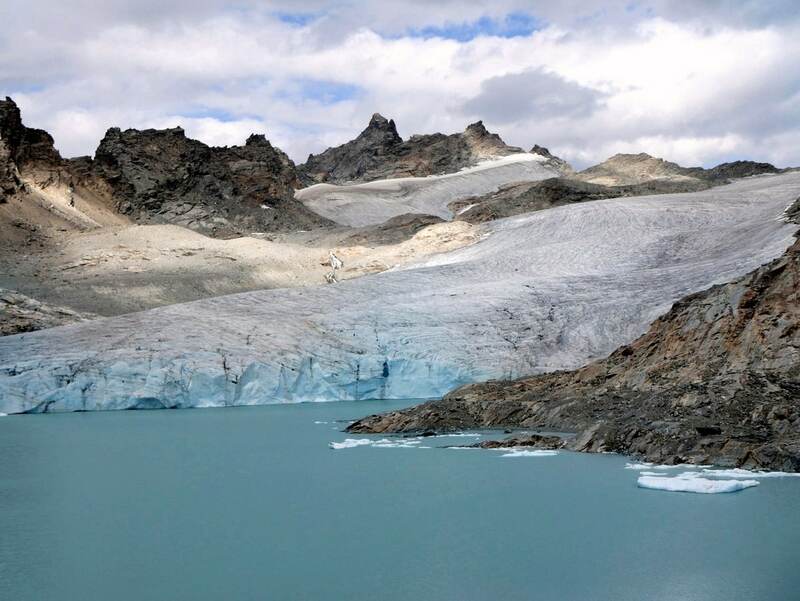 The Glacier du Grand Méan hike takes you to a glacial lake in a charming part of the Vanoise. 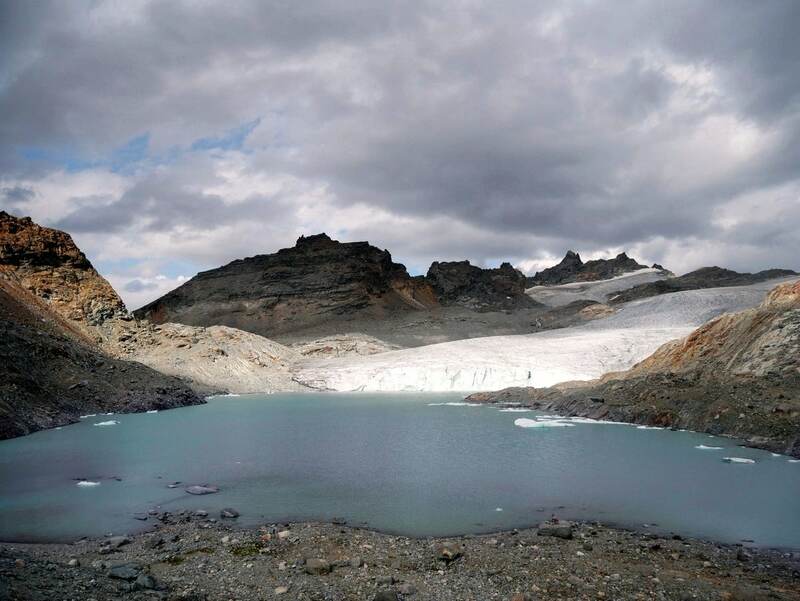 This is a beautiful hike that gets you up close to a glacier where you may see chunks floating in the little lake. 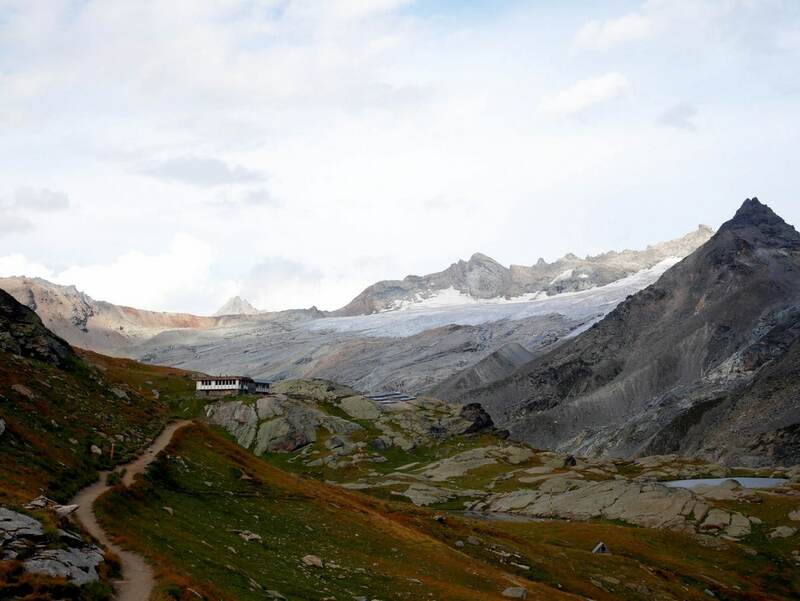 Located close to the lovely town of Bonneval-sur-Arc, this hike will take you through a variety of landscapes and give you the opportunity to admire the unique little piece of Greenland in Vanoise. 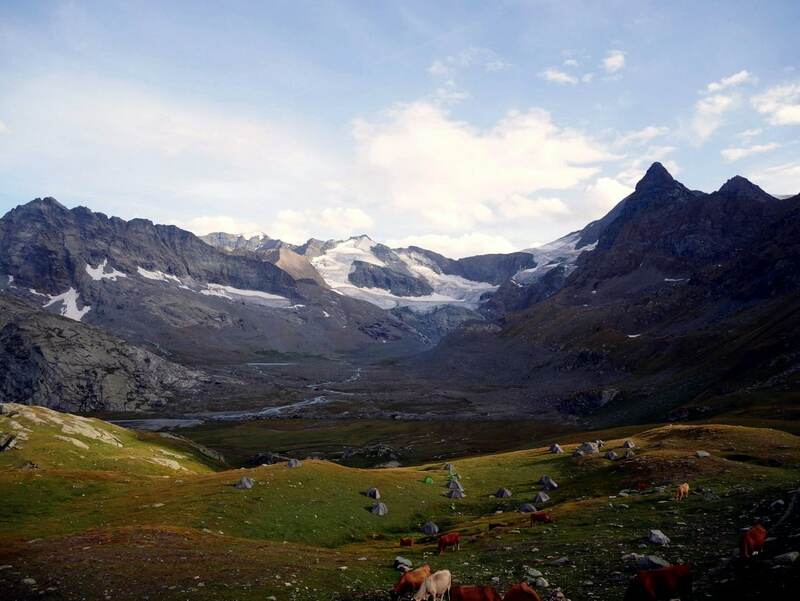 It’s one of the best hikes in the Vanoise. From the Post office, L’Office du Tourism in Bonneval-sur-Arc, go South and cross the bridge in the direction of L’Écot. After the bridge come to a T-intersection and go left. Continue on this road for 3.3km, going through the first parking area and continuing straight along the road until you reach the next parking area. Be careful as the road is quite narrow, and traffic goes both ways. We love the hike up to the Glacier du Grand Méan. It’s a great hike with classic French Alps views. Start this hike from the parking lot. At the crossroad between the road and the path before the bridge, take the path on the right and head south. Here you follow the signs towards Refuge des Évettes. The path rises here, little by little as it makes its way to the Refuge des Évettes. This part of the hike is part of the classic Tour of Haute Maurienne Vanoise, a 10-day trek through this beautiful part of the French Alps. Continue on this path until you reach the Col des Évettes, always bearing left at any path intersection. Once at the Col des Évettes continue to the left, aiming for the Refuge. After a few meters, take the path going down on the right. Halfway down the hill, the trail passes between the Refuge and the Cirque des Évettes, then leads to the Pont Romain towards the waterfall of the Reculaz, known as Cascade de la Reculaz. Note that the route on our map doesn’t go directly to the Refuge, but it’s worth a visit. It is highly regarded in the region. 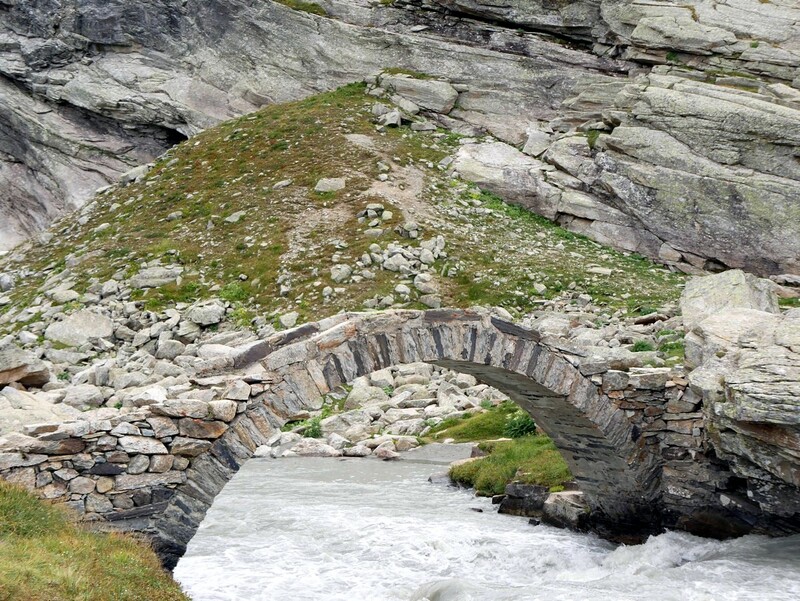 Go over the Bridge, go down in the cirque for 50m more, then take the steep path on the left side. It starts on a rocky slab in the direction Lac du Grand Méan. Here starts a small path marked by a few cairns. It can sometimes be a challenge to find the path, but it’s there. The hiking trail here is very steep at first, before arriving at the bottom of the Mont Seti. Afterwards, the trail continues more easily in the direction of a moraine. A last steep climb and then you will discover the lake and the Glacier! You could hike to the bottom of the glacier by following the path on the right side of the lake. Getting here is pure happiness! Follow the same itinerary to return from the bottom of the glacier. Note that our map shows an optional return for those with a head for heights. While most people return the way they came up, there is an alternate way to go down that goes through the Gorge de la Reculaz. Beware that this way down is very steep. Many hikers chose to ascend this route and then go down the main route as it’s easier to go up the steep slopes. To take the alternate route down, from the Glacier du Grand Méan return partway down the path you came up on. You come to a crossroad, after crossing the bridge near the waterfall (and before hitting the Refuge). At the crossroad take the path on the right, that goes down through the Gorge de la Reculaz. This is a difficult trail, however throughout the hike the view is incredible. The path heads north initially and there are some steep bits. You will find a difficult passage with a very useful handrail as you descend. You are descending with a stream on your right. As you go down the stream grows, soon turning to the left. Follow the path as it goes left as well, eventually through a field and towards where you parked your car.  If you want to do the alternate route, it is easier to go up the steep alternate route and down the easier standard route. Bonneval-sur-Arc is one of the 157 most beautiful French villages. It is definitely worth a visit, and we have had the best Tartiflette from La Cabane.